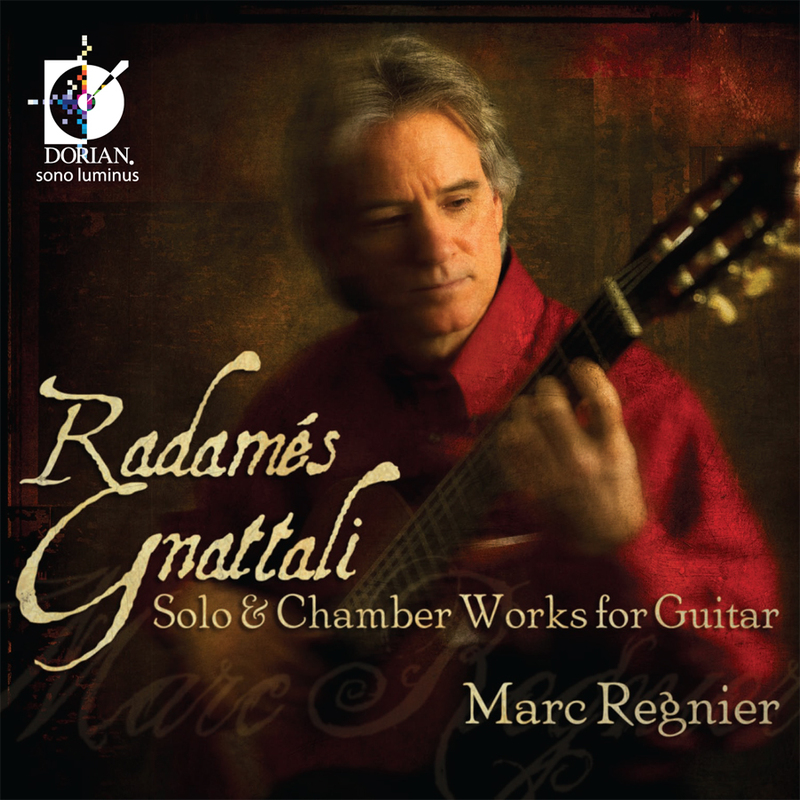 Internationally recognized classical guitarist and College of Charleston associate professor Marc Regnier has been nominated for a Grammy. His most recent recording of the chamber and solo works of Brazilian composer Radames Gnattali (Dorian/Sono Luminus), was selected for the Best Chamber Performance category. Winners of the 53rd annual Grammy Awards will be announced on February 13th. Regnier has won the attention and respect of critics, producers and musicians for more than three decades as a performer, recording artist and educator. He has performed the works of Radames Gnattali for many years and wanted to dedicate an entire CD to the Brazilian maestro’s works. Regnier explains, “I discovered that there were very few recordings that devoted an entire CD to Gnattali’s works, and I knew it had to be a chamber recording due to the fact that this genre in the recording industry has been on the upswing for quite some time.” In the recording, Marc Regnier is joined by fellow faculty members Tacy Edwards (flutist) and Natalia Khoma (cellist), and by Marco Sartor, Regnier's former guitar student. “They are the very best musicians that one could find anywhere to work with,” he adds. This is the second recording that Regnier has made with the Ledins. The first was a recording by Marco Polo (Naxos) featuring the works of Alexandre Tansman. Regnier has also recorded works by David Maves, an American composer and College of Charleston Professor Emeritus. Regnier and the College of Charleston team that performed on the Gnattali CD are currently planning several more recording projects with the Ledins.